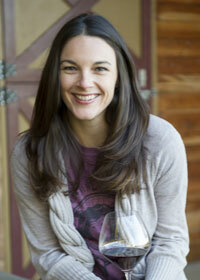 Jennifer Cossey Hendrickson is a sommelier, wine writer and wine judge. She has worked in the beverage industry for over 15 years and has obtained the certifications of Certified Specialist of Wine, Certified Wine Educator, Certified Sommelier and Certified Beer Server. She discovered her love for wine while living in the bay area and has since had the chance to work in sales, production, education, marketing and restaurant service. Currently, she is the Beverage Manager and Lead Sommelier at the prestigious Yellowstone Club in Big Sky, Montana where she oversees the wine, spirit and beer programs for several restaurants as well as consulting members on their private collections. She is a judge for The San Francisco Chronicle Wine Competition and the Jefferson Cup Wine Competition. She is a freelance journalist and has written for several national and regional publications including Wine and Spirits, Sommelier Journal, Tasting Panel, SIP Northwest, Oregon Wine Press and Wine Business Monthly. Travel is her other passion and through her career she has had the opportunity to visit wine regions Italy, France, Spain, Australia, Canada, California, Washington and Oregon.